Got leftover rice? Then this is the recipe for you! In fact we liked this rice so much that I am making extra rice to have leftover rice:) I also made this recipe with brown rice and it was delicious! The recipe is so simple yet this rice dish scores big on the taste scale. 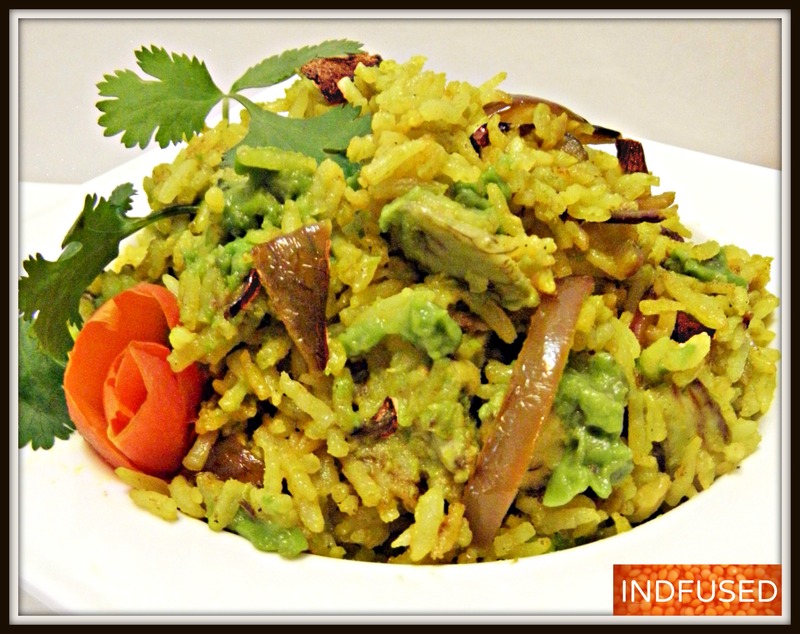 The mashed avocado clings to the garlic and caramelized onion flavored rice, making it buttery and creamy. I made it vegetarian this time but I want to add shrimp next time to it….I can almost taste it…..but let me give you the recipe first. Heat the oil and butter on medium heat. Add the sliced garlic and let it soften and cook for a few seconds, taking care not to burn it. Add the sliced onion and stir fry it for 2 minutes. Add the chili pepper. Continue to stir until the is onion is golden brown. Reduce heat to low. Add the turmeric powder, give it a quick stir and add the rice, sugar and salt. Stir well to combine. Add the lime juice. Stir again and remove from heat. 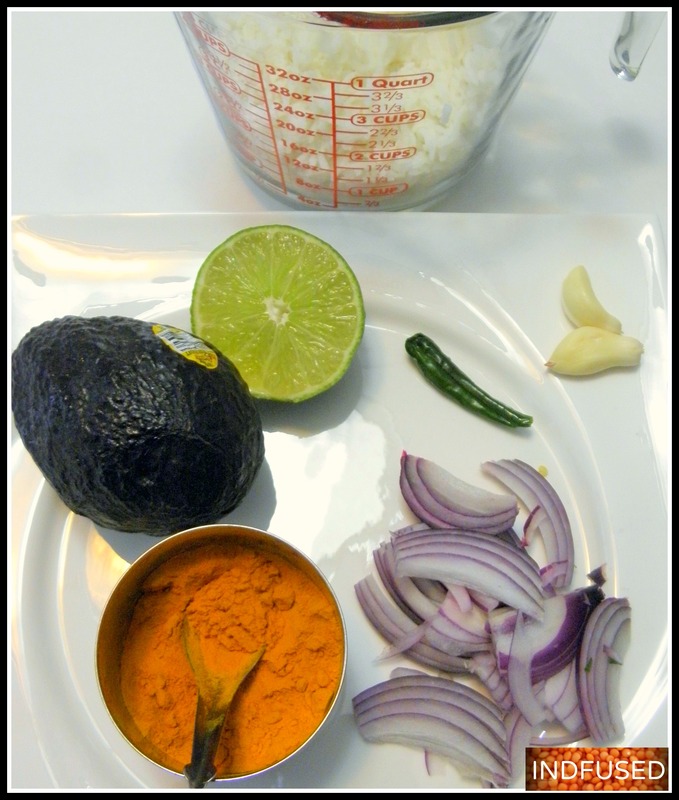 Stir in the mashed avocado, combine well with the rice and serve! My mouth is watering thinking about it and I have just had dinner:) I have to make it again, with shrimp this time! Hope you like this rice as much as we did! Thank you for your kind words, Becca! A very interesting dish Sandhya. Love the avocado which went in. I can almost taste the flavors. Thanks! yes the avocado made it extra yummy for sure! Thank you Loretta. yes I find every excuse to eat avocados. We love them too. I am keeping busy…trying to cope. Thank you so much for asking. Hope you are doing well. Rice is comfort food for me too, Ema! True! Was going through your blog and juz loved “AVOCADO AND SUN-DRIED TOMATO THEPLA”. This looks delicious! I bet the avocado makes it so creamy! Yes the avocado makes it super creamy and delicious! Thank you! Yes the avocado makes it creamy and super delicious! 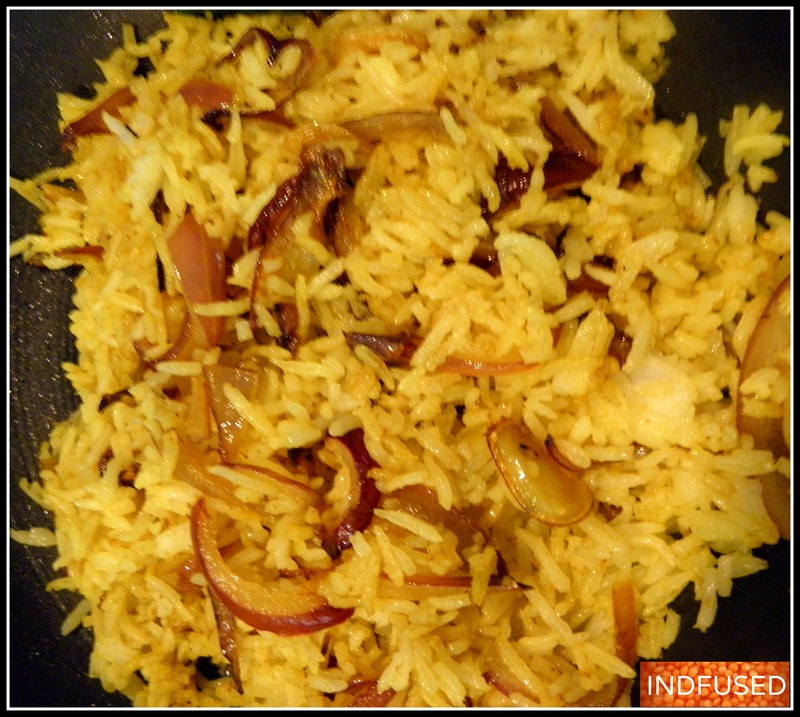 It sounds and looks so yummy, all rice lovers should try this receipe. I am going to make it this week. 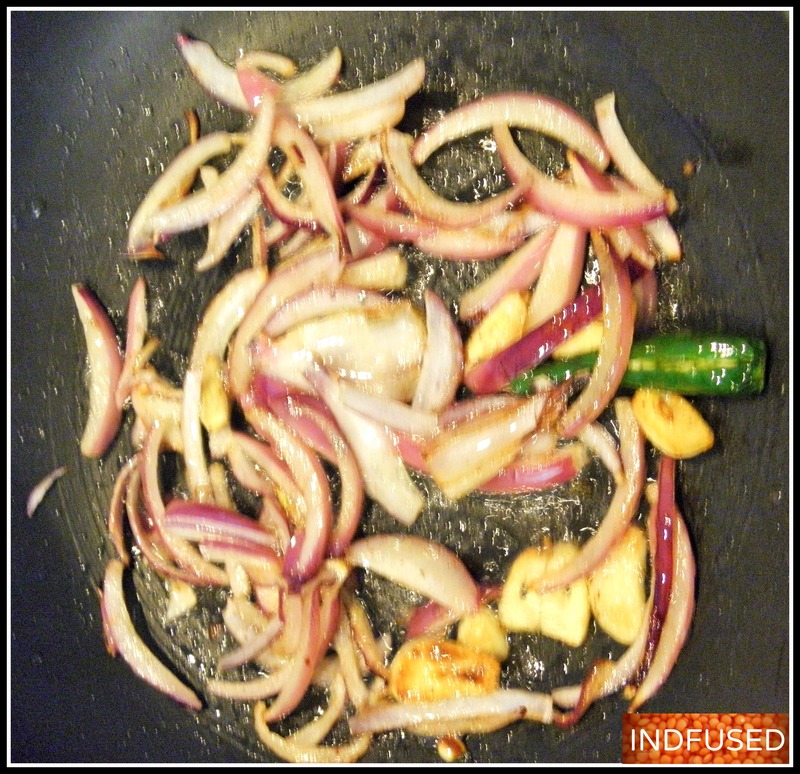 Thanks for sharing this recipe, sandhya. Thanks Sushama. It really tastes awesome!